I love how so much information was squeezed on this tiny post-it note that a teacher had on her laptop, to remind her of the top songs that should be listened to. Cindy // Wake Me Up Before You Go-Go // Wham! Regular commenter Jan took a bunch of great photos. Here is one that captures the flavor of the evening. It’s a moment in the excellent rendition of “Jessie’s Girl” which had the best karaoke typo of the evening: “the point is mute” (moot). Things have been happening at the City of Roses Motel site. I haven’t been able to take any pictures because it’s become very dark in the morning, which is when I encounter this site. But things have been happening! First of all, they have removed a wall of shrubs that separated the house on the right from the motel site. They also took out a tree in the back part of the lot and pulled down the ghetto palm growing on site. Everything has been leveled (the kitty hangout depressions in the earth are gone) and gravel has been spread. And the site has been wrapped in this. I’m never sure if this is supposed to keep debris in, or keep prying eyes out. Perhaps both. My guess of what’s coming? Row houses. Maybe 12 of them, with underground garages. Although the rental market is tight, so it also might be more units than you thought possible with no parking. Posted on October 25, 2014 February 9, 2016 Categories All (-ish), StructuresTags CofRMotel2 Comments on Things have been happening at the City of Roses Motel site. Made by a student whose birthday is very near mine. Actually, it’s part of my personal credo not to. Unless I am on the way to or coming home from a workout, workout gear is not for general out-and-aboutness. Also not a fan of sneakers with wedge heels (why?) and track jackets made of silk and leather. Posted on October 25, 2014 February 6, 2016 Categories To Occupy my TimeTags me2 Comments on Actually, it’s part of my personal credo not to. Part of the Ruby Oliver Film Festival. 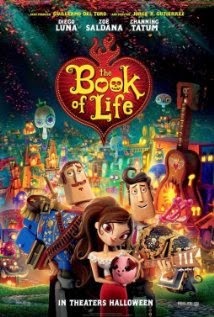 A movie so lengthy I felt as though I had lived 200 years by the ending. Full of Chris Columbus hallmarks like the bratty kid (for no discernible reason) and the overly intrusive maudlin score. 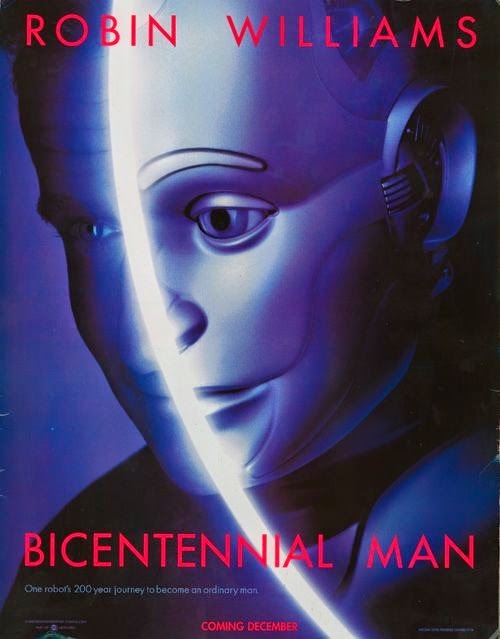 It was an interesting selection as it was the first Robin Williams movie I watched after his death, and given that the bicentennial man wanted to end his life after a certain point. After finishing five 5k runs, I’m interested in running to food more than anything else. Comparison Contrast two houses on Belmont Street. Waiting for the #15 bus, I got to looking at these two houses located on Belmont just off Cesar Chavez. They seem to be the same house and presumably built the same time, so I thought it would be fun to do a comparison. Plus, I get to geek out with Portland Maps. This is 3921 & 3923 SE Belmont. It was built in 1908 and is a duplex. It has 2,169 square feet. Both residences in the duplex are owned by a couple with an address in another part of the city so this is presumably a rental. The couple purchased the house in 2001 for (get ready to clutch your hearts, real estate hunters of today) $132,000. Portland Maps tells me that it also sold in 1992 for $59,000 and in 1991 for $42,500. It’s current assessed value is $198,500 and its market value is $273,700. There are some fun historic permits on file for plumbing inspections. This is 3927 and 3939 SE Belmont. It is owned by a couple who live in the house, though I assume they rent out the second unit. It was built one year earlier, in 1907, and is a tiny bit bigger at 2,171 sq feet. The couple bought the house in 2003 for (again, get ready to clutch your hearts) $47,800. The type of sale is listed as Bargain Sale and Deed and I don’t know if that’s why it was such a steal, selling for so much less than its neighbor. The historic permits on file list Albertsons, Inc. as the owner in 1965. The upper story: you can see the type of siding and the roof which I would characterize as in good condition. This one has shingled siding and what I would guess is a new roof. Second story. It looks like the windows have been replaced with newer vinyl-style. You can also see the “peak” of the porch is placed to the right on this house. This house still has the old aluminum frame windows and the “peak” is placed further to the left on this house. Here, our house has an open porch, probably retaining the same style as it was built with. This house has an enclosed porch, which I am not a fan of. They seem less pleasant to hang out on and they tend to become a place to stack things. One thing that interested me was that both houses have heavy 60s/70s era doors that don’t match the rest of the house. Based on this, I assumed that both houses were owned by the same owner some time in their past. But no! Was there a traveling door-to-door door salesman with an irresistible pitch? The carved wood, the dark stain, the brass mail slot! Does not match!!! It looks like these steps have been scraped. Perhaps they are getting ready for a new coat of paint? The steps on this house are not as wide. These columns look as though they’ve been renovated at some point. I would bet these are original. Posted on October 19, 2014 November 19, 2016 Categories All (-ish), StructuresTags houses, Portland5 Comments on Comparison Contrast two houses on Belmont Street. Okay, so there is one thing I still like about the Oregonian. After years of waiting, hoping, wishing and advocating, I get to read “Rhymes with Orange” every day! Hilary Price regularly makes me laugh. Posted on October 19, 2014 February 3, 2016 Categories To Occupy my TimeTags humor4 Comments on Okay, so there is one thing I still like about the Oregonian.